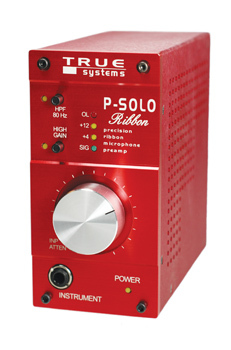 The P-SOLORibbon is different because it uses a combination of discrete components and integrated circuits in a totally balanced, DC-coupled architecture to achieve extraordinarily clean and transparent performance with ribbon and dynamic microphones. 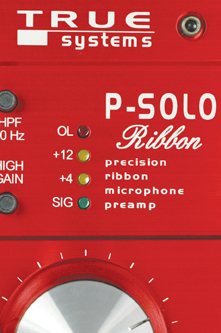 The P-SOLORibbon will reveal more detail than you ever thought possible. 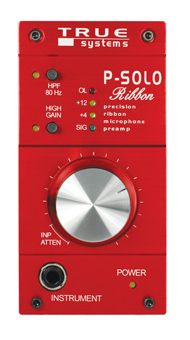 (Note: not for active ribbon mics.) 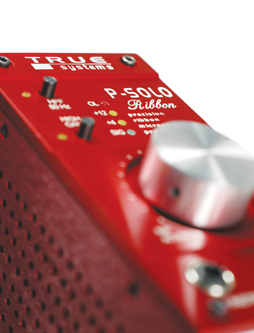 The extraordinary TRUE DI offers superior sonic quality comparable only to expensive outboard DI’s.